Bicheno is a beautiful town on the spectacular east coast of Tasmania, cradled between Douglas-Apsley National Park and Freycinet National Park. Bicheno is a firm favourite with most Tasmanians, both as a family friendly destination and for those seeking a slower pace or sea change. Bicheno is easily accessible from the major population centres at 2.5 hours drive from Hobart and just under 2 hours drive from Launceston. 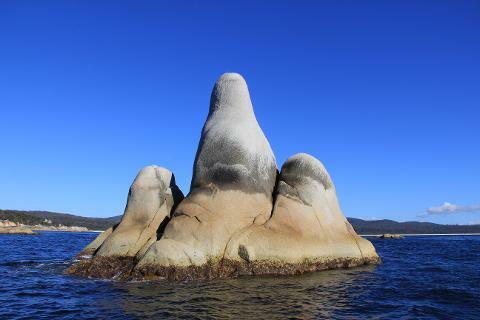 Bicheno has a wonderful range of activities making it a favourite holiday spot for Tasmanians and visitors alike. 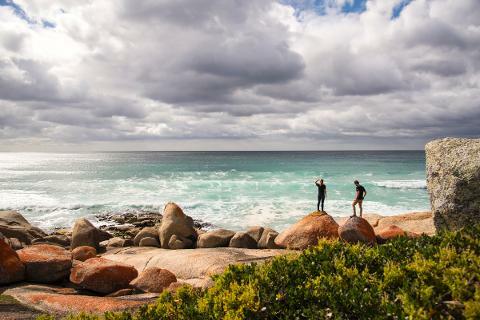 Surrounded by that clear blue east coast water, white squeaky sand and the distinctive granite rocks dotted with orange lichen, Bicheno is a beautiful spot to base yourself when exploring the east coast. 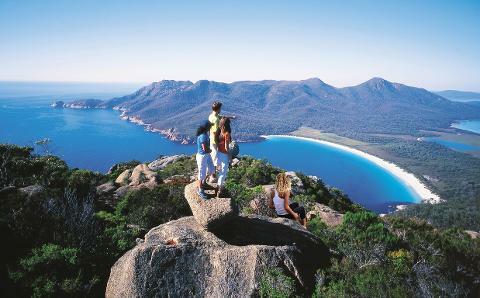 If you're a wildlife lover, a water baby or simply enjoy the relaxed beachside vibe then Bicheno is the place for you. 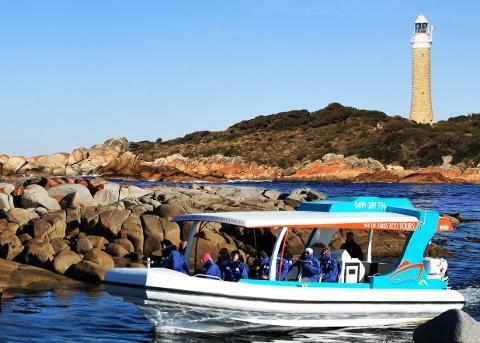 In summer you'll always find a great spot for swimming or fishing, and as Bicheno has a mild climate with less than 700mm of rain per year, you'll most likely have great weather to explore the township and surrounding national parks. Bicheno is one big playground. 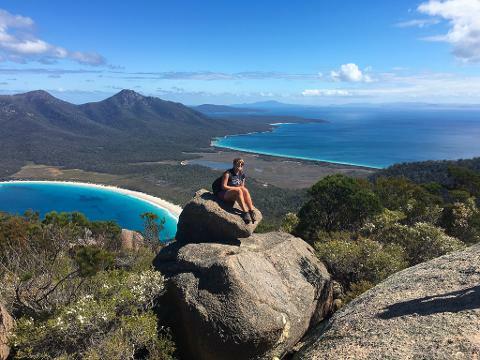 There are so many places to explore and because of its central location you're not far away from many of those big east coast attractions like Wineglass Bay and the Wine Route. Bicheno's highlight has to be the beaches and water surrounding it. The water really is that famous east coast blue with white fine grain sand that makes you just want to jump in. Even if you're not interested by the beach you'll be impressed by taking an evening penguin spotting tour to watch the Fairy Penguins wander up the beach to their burrows after a hard day fishing. 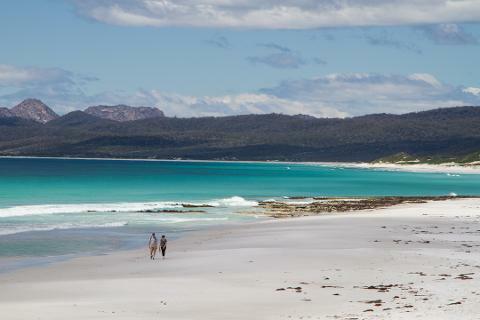 Whether you're simply beachcombing or a tourist bravely dipping a toe into our refreshing water, you'll find that Bicheno is a great spot to take time out and enjoy life. 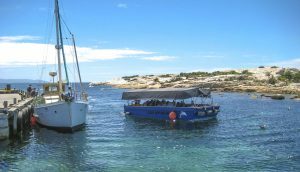 Bicheno is definitely a great place to stay if you are into wildlife, adventure, water sports, food or wine. 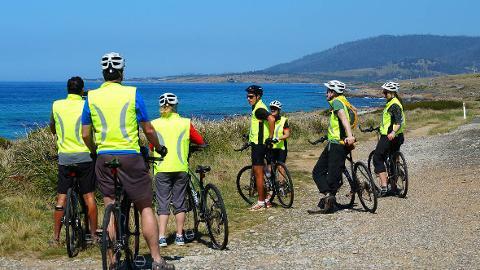 Families will find that Bicheno is a quaint seaside town which has great options to let the kids out and about on their bikes to explore the beaches and all the attractions. 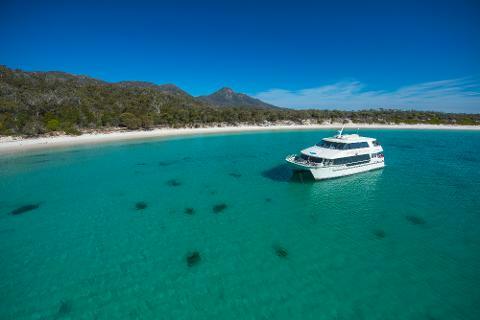 Image thanks to: Tourism Tasmania & Bicheno's Glass Bottom Boat. Bicheno is a township on Tasmania's Great Eastern Drive. The most popular way to explore the east coast is by driving, however you will also occasionally see tourists cycling this spectacular coastline. You can travel to Bicheno by bus from both Hobart and Launceston with Tassielink or Callows Coaches and there is also a community bus that is in service along the east voast. Image thanks to: On the bright side of fitness. Whatever type of accommodation you are after, Bicheno will have an option for you. There are numerous camp grounds (including free options), caravan parks, motels and endless options for self-contained accommodation. Bicheno is popular in summertime so be sure to book with a little notice so that you get the accommodation option you want. Visitors who enjoy diving will find Governor Island Marine Reserve just offshore from Bicheno which amazing reefs filled with kelp and sponges just waiting to be explored. 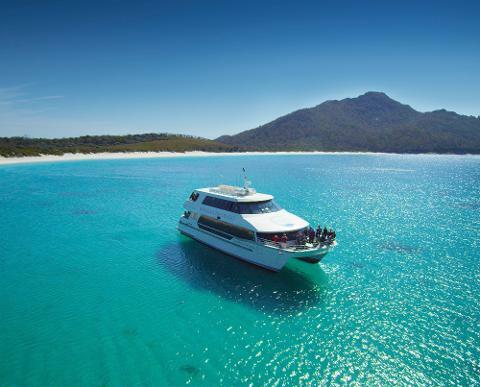 If you're not a diver, you can take a glass-bottomed boat ride to see this amazing marine reserve which is known as one of the best diving spots in Australia. 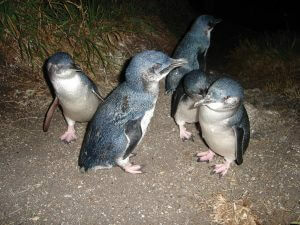 At dusk, Bicheno's resident population of Fairy Penguins make their way from the sea up into their burrows. Seeing these cute little penguins up close and in the wild is truly a special experience. To continue on with your wildlife adventures there is East Coast Nature World, a great wildlife park just 7km north of the township. You can witness the Tasmanian Devils being fed, get up close and personal to wallabies, kangaroos, snakes, and quolls among other native Tasmanian fauna and other non-native animals. The Blowhole at Bicheno is arguably the best in Tasmania and really gets going when there is a Tasman Sea swell. There are fantastic photo opportunities when the waves create their huge spray through the gorgeous orange colored rocks and even on a fine day it is advisable not to get too close as there is often a stray wave waiting to drench unsuspecting tourists. Whalers Hill is a short 10 minute walk up to a high point in the town where you can get some impressive views from the lookout and in migrating season perhaps even spot a whale or two. Take a picnic to reward yourself for taking the climb. The Gulch gives refuge for this little town's fishing fleet from the Tasman Sea swells and is the perfect spot to pick up some freshly caught and cooked fish and chips if you're feeling peckish. 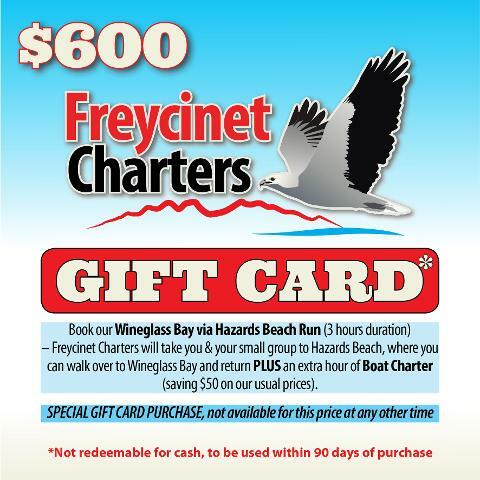 Seafood is fresh and abundant in Bicheno and can be found at most eateries in the town. Redbill Beach at the northern end of town is a popular spot for surfers and even in colder winter weather you're likely to see surfers enjoying the turquoise waves at many spots along the coast. Redbill Beach connects to Diamond Island, a rocky granite outcrop which at low tide can be accessed by the sandbar and makes for some fun when scrambling over the rocks to circumnavigate the small island. For swimming, Waubs Bay beach is a safe ocean beach that is often patrolled by lifesavers in the summer months. Waubs Bay got its name from a local Aboriginal woman Waubedebar, who saved troubled sailors in the surf in the early 1800's. You can also visit her grave off Old Tram Road while exploring in town. For something different there is the Bicheno Motorcycle Museum which shows off over 60 restored bikes including the only Noriel 4 Café Racer in the world. Once you've taken in all the sites of Bicheno, head out to Douglas-Apsley National Park to explore waterfalls, beautiful swimming spots, native forests and gorgeous walks. 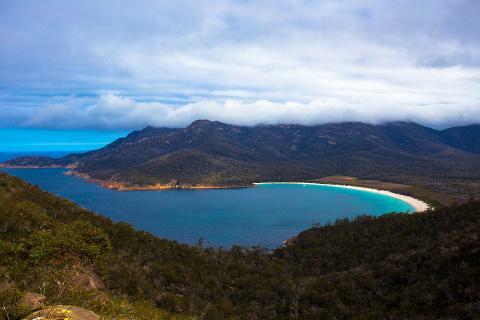 The Douglas Apsley National Park is a haven for many rare and endangered specifies and a fantastic part of the east coast to explore from your base in Bicheno. 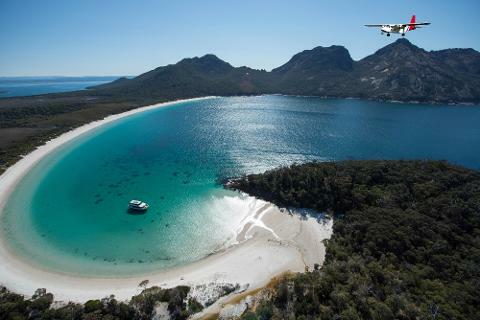 Image thanks to: Tourism Tasmania & Paul Male and Tourism Australia & Graham Freeman. Seafood in this small coastal town is worth a try and if you venture around to the Gulch you will see where the catch of the day comes in. The small town has great amenities, with cafes, a bakery, motel restaurants for counter meals and restaurants. 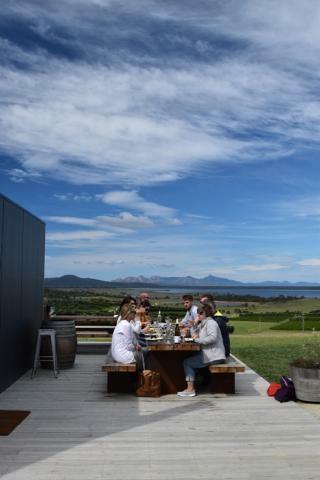 If you're self-catering there is a small supermarket and don't forget that Bicheno is on the east coast so there is always a winery or two nearby. 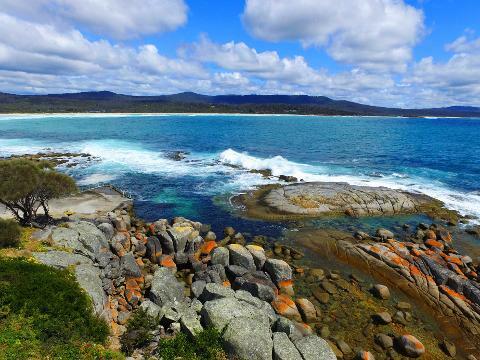 Bicheno was briefly known as Waubedebar between 1832 and 1840 in honour of a local Aboriginal woman who rescue two sailors from the surf in the early 1800's. It was named Bicheno after James Ebenezer Bicheno, the British Colonial Secretary for Van Diemens Land and was officially made a town in 1866. 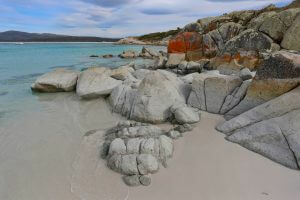 Bicheno enjoys a pleasant mild climate and is surrounded by bushland typical of the east coast of Tasmania. 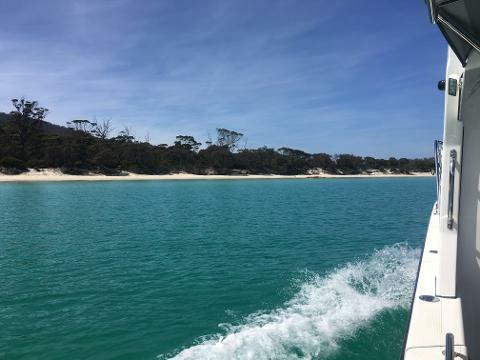 Generally dry, there are numerous surf beaches along the coast mixed with brilliant white sandy swimming beaches and rocky outcrops of granite boulders where you'll often see people fishing. If you're visiting in November keep an eye on the dates so that you can attend the annual Bicheno Food and Wine Festival. The east coast has some fantastic cool climate wines and when mixed with fresh produce you'll really get into the holiday groove. 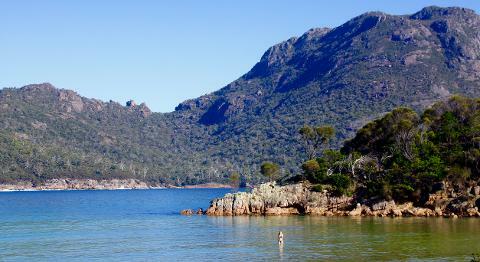 You can use Bicheno as your base to explore the east coast as part of your Great Eastern Drive. 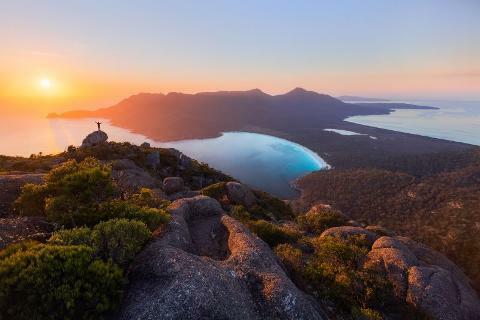 Wineglass Bay, Freycinet National Park and Denison Beach are all within day trip range and don't forget the wineries that Tasmania is so famous for.